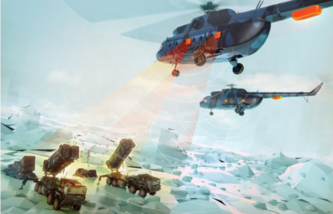 "A memorandum of cooperation in the field of organizing the delivery of the civilian radar Surok was signed at the Army-2018 international military and technical forum between RTI Group and the Pakistani company TechWin Enterprise. The radar is set to control and protect the Karachi NPP’s facilities, and also some other installations of Pakistan’s critically important infrastructure," the press office said. "A delegation from Vietnam got interested in the RTI’s competences and experience in situational centers for creating national environmental crisis management centers in that country. The Indian partners were shown the possibilities of civilian projects in the field of information and communication technologies," the press office said.